Have you ever lost a script? Wondered how many repeats you have left? Use the Capital Chemist Scripts on File service to make things easier! 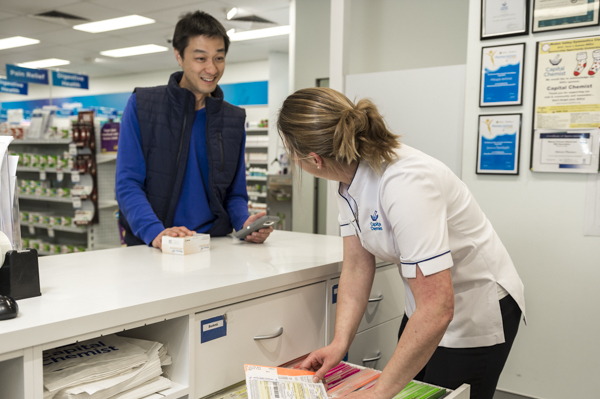 No more lost scripts – they are stored safely at the pharmacy. No more waiting – simply phone, fax or email ahead to have your scripts ready when you arrive. And you can odd extra over-the-counter items to you order. Ask us about our MedAdvisor service which is a smart phone app that helps keep you informed about your medicine and enables you to order prescriptions from us easily and quickly from anywhere, anytime. Record maintenance – we can keep records for your safety net and for tax purposes; at the end of the year we can give you one printout listing all your purchases. Reminders – we will advise you when you collect if your scripts or repeats are running low.